Earlier today my L.A. insider (My Friend Stephanie Harvey who is visiting right now) tweeted me and told me that she was watching the beautiful Jayma Mays of Glee do a photo shoot for what appeared to be a Louis Vuitton ad. 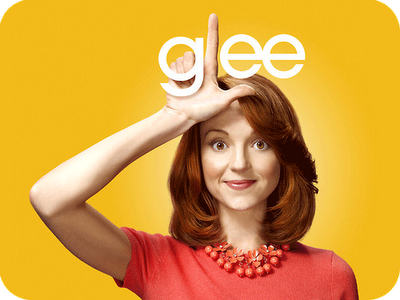 Mays, who plays the wonderfully quirky Emma Pillsbury in the FOX hit Glee, was seen in front of the L.V. store in the Hollywood Highland Center with shopping bags during the shoot. So to get back to my original story, be on the look out for Jayma Mays and Louis Vuitton. Then when you see the ads or photo shoot you can say that you heard about it a long time ago on The Orange Juice and Biscuits blog! *Special thanks to my L.A. insider Stephanie Harvey for the tip. I encourage everyone to send me any and all celeb sightings no matter where you are! My email is jonrvaldez@gmail.com. Also, if you want to know what I think about a certain topic or story in entertainment news just let me know! The Fergie/Josh/Stripper post was done by request! Thanks OJ&B readers!